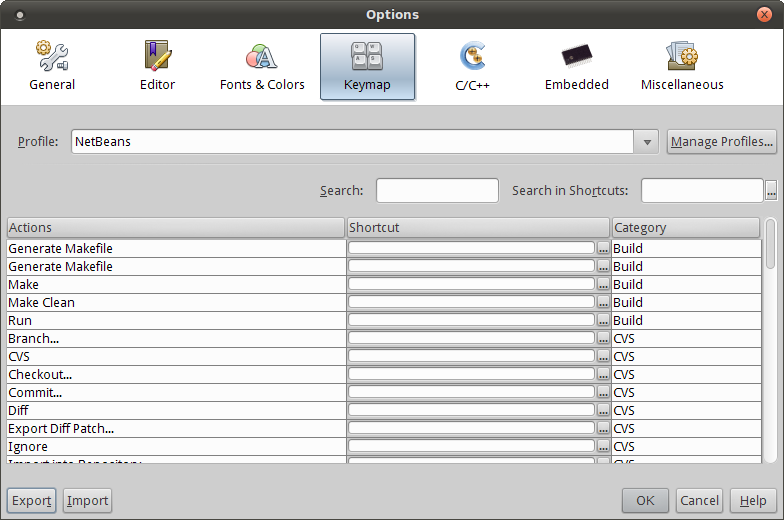 The Keymap category is where you map editor functions to keyboard short cuts. Choose a pre-defined profile (for example, Eclipse) or even create your own by clicking on the Manage Profiles… button. This will search the Actions column. Any Action that matches the letter or words types will be displayed. This will search the shortcuts column. Any key or key combination typed into the box will cause a list of shortcuts to be displayed that use those keys.